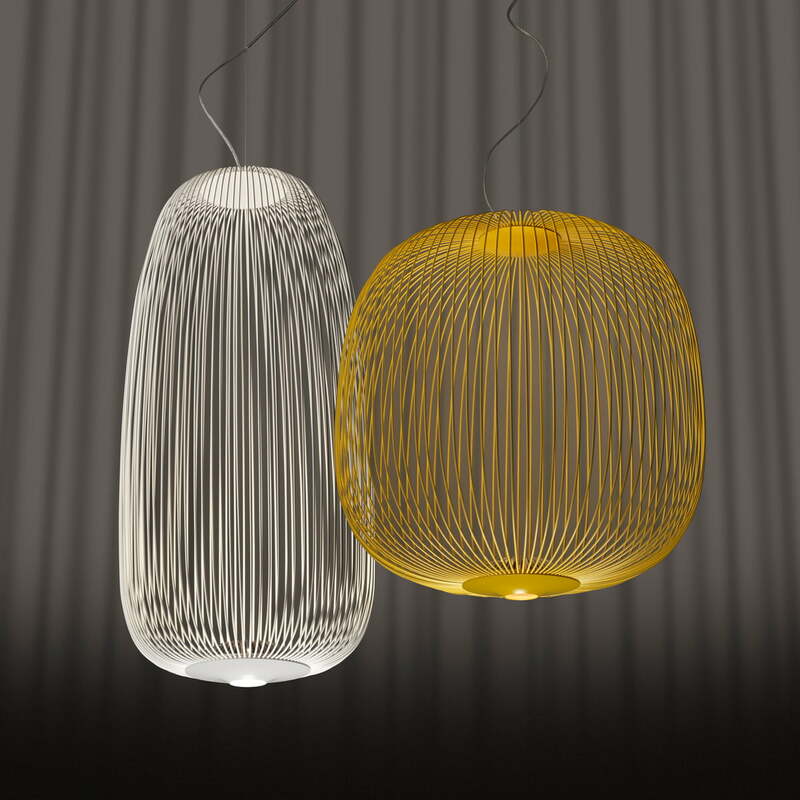 Having been inspired by the spokes of a wheel, the shape of the Spokes Light by Foscarini is reminiscent of delicate lanterns or aviaries. 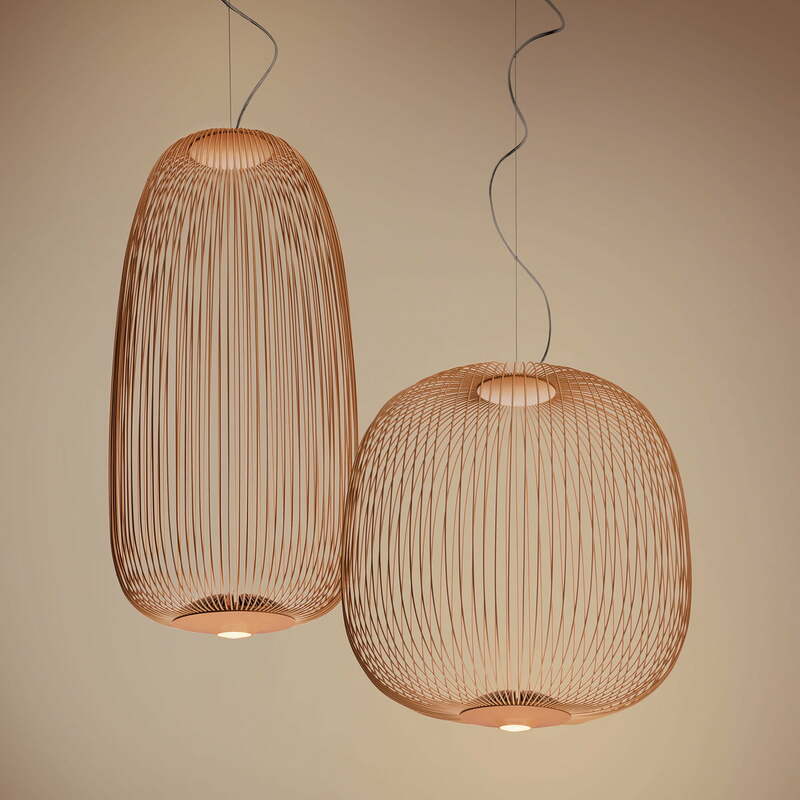 The pendant light appears almost weightless in its delicate shape. The light, which was designed by the Spanish-Italian design duo Garcia Cumini in 2014, consists of solid metal bars. Like in a cage, the LED light bulb of the pendant light in entrapped in varnished steel and aluminium bars in white or golden yellow. 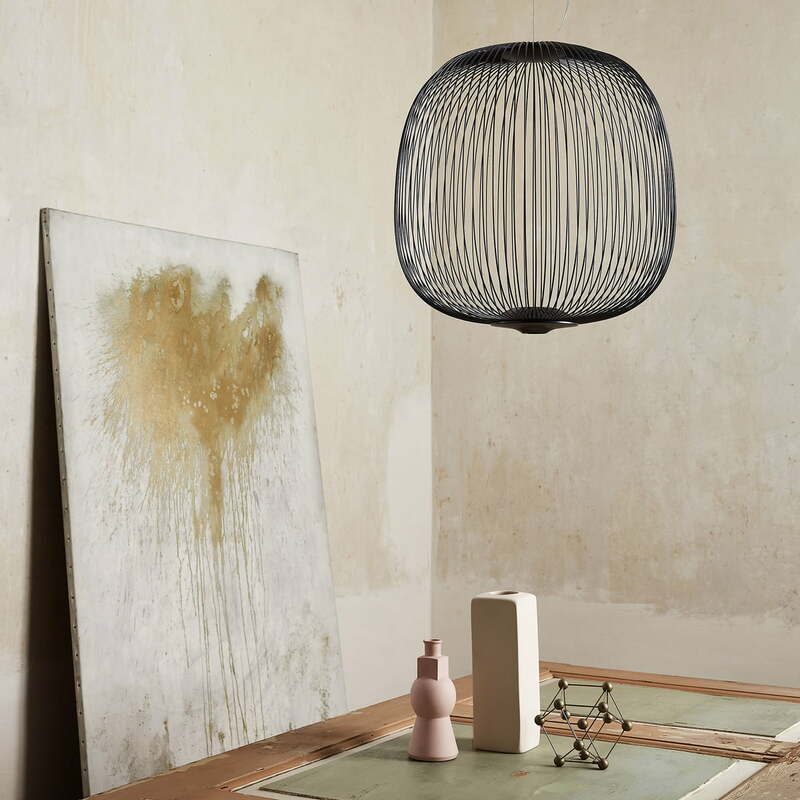 With its delicate silhouette, the Spokes Pendant Light interplays light and shadows in a poetic game. The Spokes Light is available in two sizes, in a dimmable and non-dimmable edition, as well as in different colors. 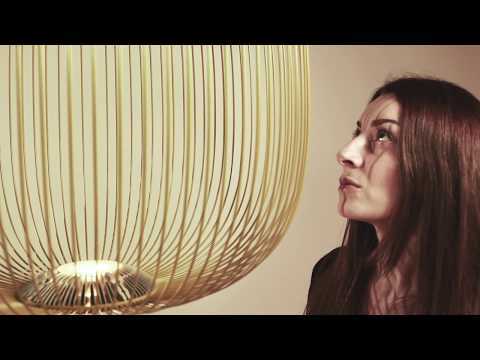 In this video the designers Garcia Jimenez and Cinzia Cumini reply to questions to the inspiration to the Spokes pendant lamp by Foscarini, the design as well as to the background of this extraordinary lamp. 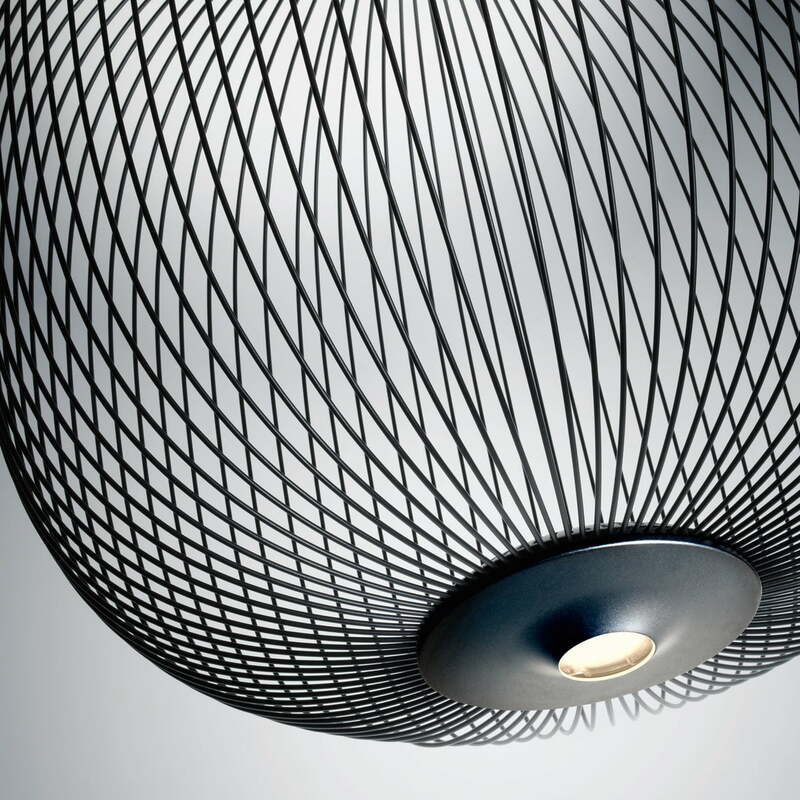 Spokes pendant lamp by Foscarini: Inspired by the spokes of a wheel, the Spokes lamp by Foscarini is reminiscent by its shape of filigree lanterns or aviaries. 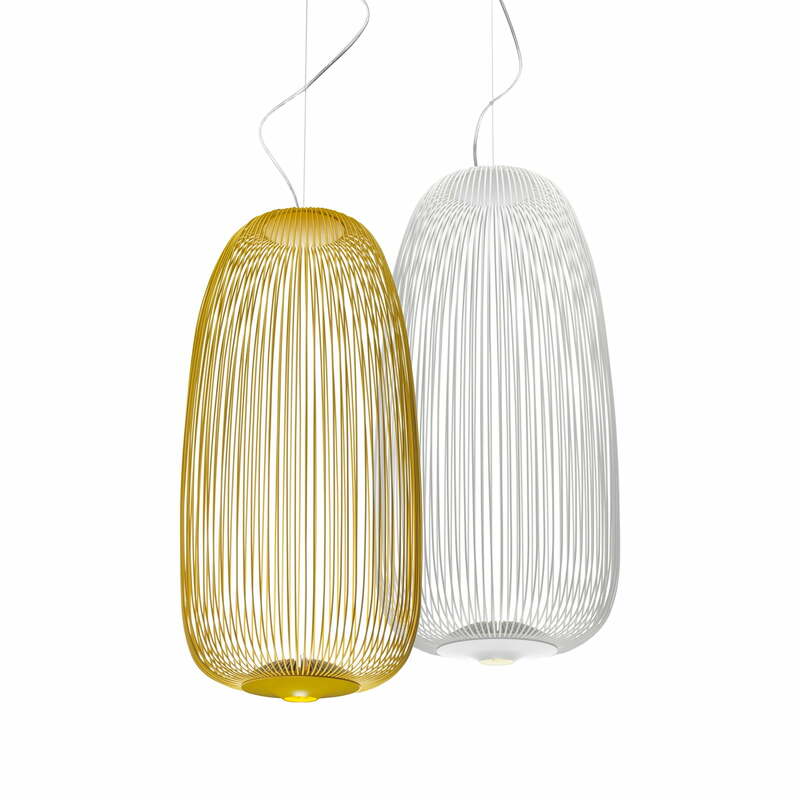 Group product image of the Spokes pendant lamp by Foscarini: The Spokes lamp is available in two sizes, as a dimmable and non-dimmable version and in different colours. Lifestyle product image: Just like in a cage, the LED light source of the pendant lamp is framed by painted steel and aluminium bars, creating a poetic interaction between light and shadow. 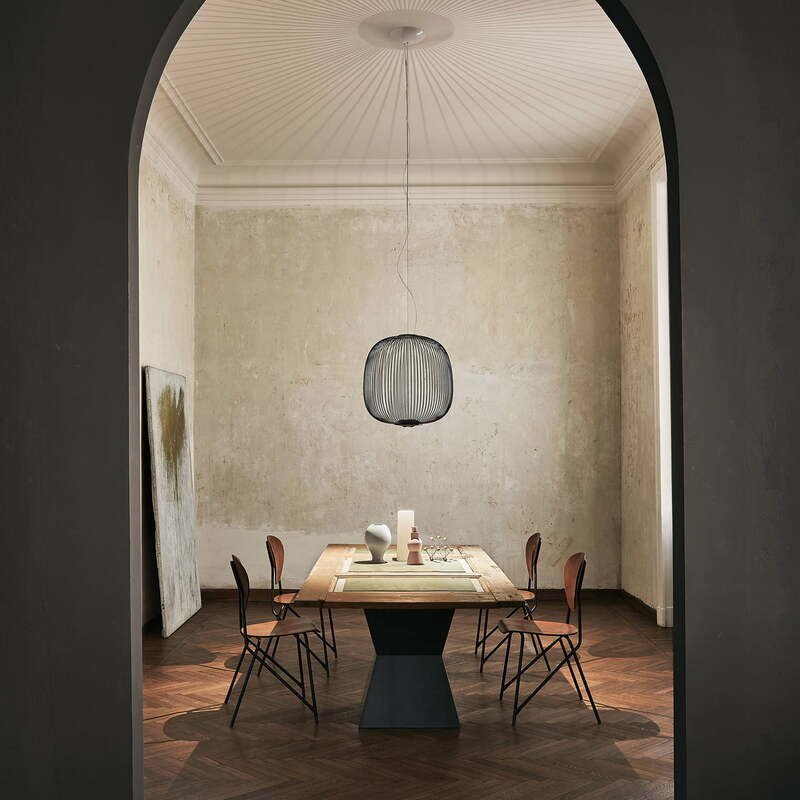 Lifestyle product image of the Spokes pendant lamp by Foscarini: Like a cage, the LED light source of the pendant light is captured by lacquered steel and aluminium rods.